Beacon Heights - Sherwoods Premiere Rental Property! 1 YEAR FREE TELUS INTERNET AND TV WITH A PVR!! * THAT'S A $1300 SAVINGS!! Nested in the heart of the picturesque Symons Valley community, Beacon Heights Apartments features an exclusive mixture of suite types. It is transitioning to become 100% smoke-free and is the perfect place to call home! Granite countertops, in-suite laundry, 24/7 management staff and heated underground parking differentiate this condo-quality property from neighbouring rental complexes. Prime accessibility complements this building's endless array of amenities. Ideally located in the much sought-after northwest end of Calgary, Beacon Heights Apartments is within walking distance to nearby shopping hubs, fine and casual dinning spots, entertainment, educational institutions, environmental reserves and public transit. Local highways and Calgary's downtown core are just moments away, offering a high-end urban experience in a quiet, secure location. Beacon Heights Apartments currently resides within the Symons Valley community in the North West end of Calgary. Symons Valley has many neighborhoods in the area which does include Beacon Heights. This great neighbourhood encompasses residential subdivisions that are near many parks, shops and highways. The surrounding area has many dining locations, including The Keg, and Subway. As well, there are both public and private elementary schools just blocks away and steps away from RioCan Shopping Centre with large national retailers such as Costco, Shoppers Drug Mart, and Goodlife Fitness. Beacon Heights neighbourhood is within walking distance to bus routes, LRT and local highways; the property has the amenities that city dwellers need, all easy to get to and close to home. Gorgeous 1 bedroom suites at Beacon Heights! 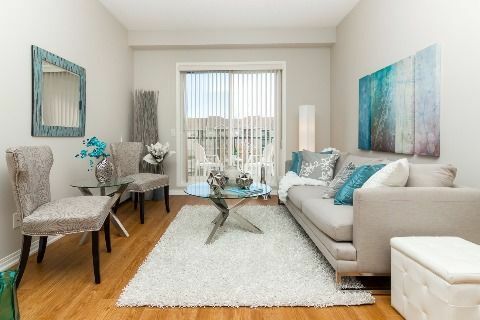 Gorgeous 1 bedroom +den suites at Beacon Heights!